Vintage shoes are always great to have in your footwear wardrobe. They add interest to simple or classic outfits in a unique way – without even trying. Toronto used to have a fantastic vintage store called Strange by the Grange and I bought several pairs of vintage shoes there. 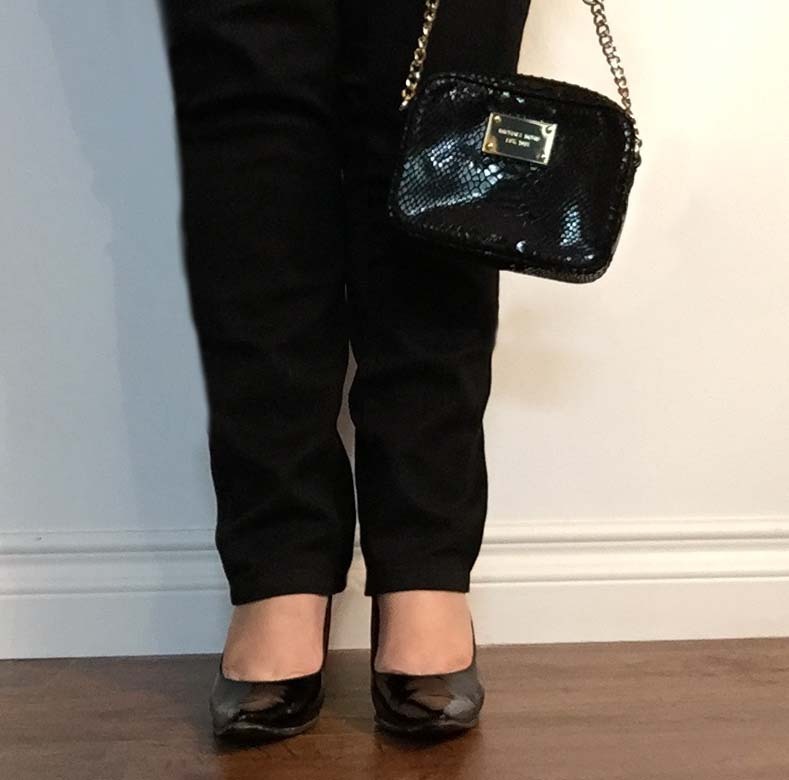 In the lead image, I am showing a vintage, black patent shoe with a modern, burgandy Kate Spade version to show the similarity in style but also the unique point on the shoe. The curve of the heel identifies them as 1950s. A great place to look at vintage shoes is the Bata Shoe Museum. It presents the history of the shoe and all the modern favourites. Recently, Toronto showed the Christian Louboutin Exhibition. It provided a window into his creativity and no one walked away without picking a favourite red soled shoe from the collection. Too bad we couldn’t take home a souvenir. Here’s 2 views of how I wear my vintage and modern pumps. LEFT: I like to wear my black patent leather vintage pumps with black slim trousers. The add some shine to my evening looks. I pair them with Michael Kors patent bag with gold accents. RIGHT: My Kate Spade burgandy pumps really dress up dark denim. Navy and burgandy are such a great combination. 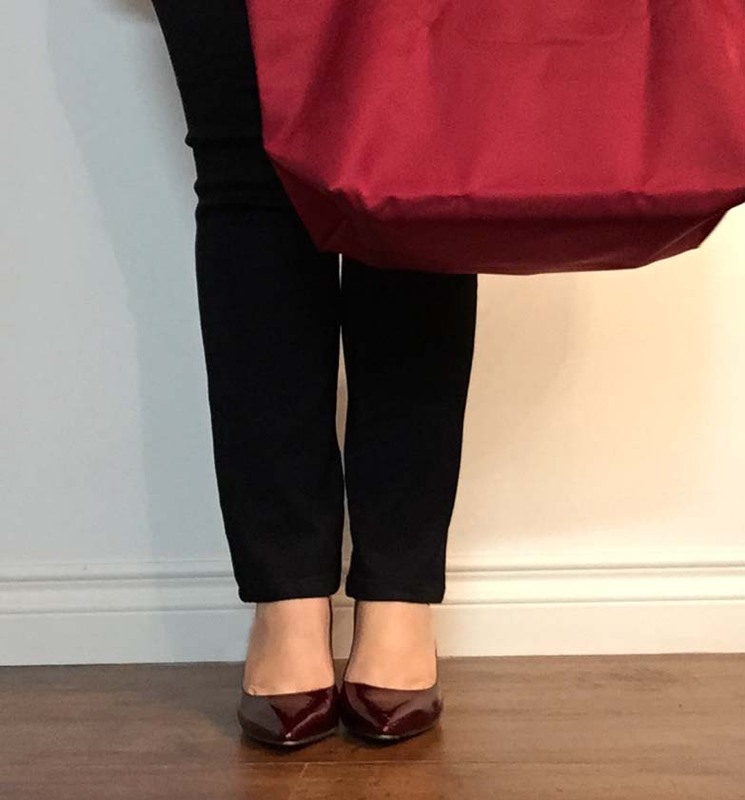 I have this great burgandy Longchamp tote that I picked up in New York. Future post – my BCBG/Valentino inspo pumps are on their way to me! Can’t wait to rock them this fall.